ADELANTO, Calif. (AP) — Drive by the High Desert Truck Stop, turn down a rutted road by the bail bond signs, slip behind a steel fence edged with barbed wire, and you can glimpse the future of California’s emerging legal pot industry. In a boxy warehouse marked only by a street number, an $8 million marijuana production plant — a farm, laboratory and factory all in one — is rising inside cavernous rooms crisscrossed by electrical cables. Not far off, a retail shop is planned to sell edible, thin strips infused with cannabis extract and powerful concentrates known as resins that also will be shipped to stores around the state. California has long been known for its boutique pot market, producing world-famous buds on small plots in the so-called Emerald Triangle, north of San Francisco. Broad legalization starts Jan. 1, and this will be a test of whether bigger is better. “It’s not going to be a cottage industry. We’re not doing it at a craft beer level,” says Brad Eckenweiler, chief executive of Lifestyle Delivery Systems, the Canada-based company behind the venture on a dusty industrial strip 90 miles (145 kilometers) from Los Angeles. In the new marketplace, Lifestyle is what’s known as a “vertically integrated company,” with a hand in virtually every aspect of the business, from producing organic seeds to over-the-counter sales. The company’s ambition also points to an unfolding rivalry: a battle of size. Some fear corporate-level businesses will eventually doom mom-and-pop growers and sellers, much as Big Tobacco dominated its market. “As we have a lot of the Wall Street and the other big money bearing down on the No. 1 marketplace in the world right here, I think the only way the small operators are really going to have a chance is if we really do kind of band together,” said Erik Hultstrom, a Los Angeles cultivator. For now, the shape of California’s new market remains largely unknown. 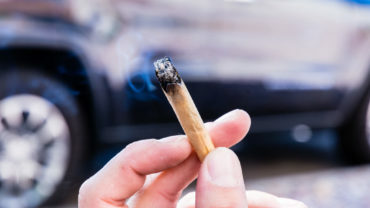 An illegal industry that operated in the shadows and the loosely regulated medical one are facing rapid change now that the legalization of recreational pot is arriving, with new government rules and taxes and a flood of investment dollars. Lifestyle Delivery Systems Inc. is a publicly traded company in Canada, valued at about $45 million. Two years ago, a state commission recognized that small operators could be vulnerable once the doorway opened to legal sales. But temporary state rules issued last month placed no limit on most cultivator licenses, potentially opening the way for vast cannabis farms. State regulators say local governments are free to impose restrictions, however. Last week, California issued its first commercial licenses, and they show others intend to get a foothold in various sectors of the market, picking off multiple permits for transportation, manufacturing and retailing. Helena Yli-Renko, director of the Lloyd Greif Center for Entrepreneurial Studies at the University of Southern California, said size might be an advantage but she sees opportunity for specialists, such as companies that develop new extraction technologies or provide monthly subscriptions, like wine clubs. But Hezekiah Allen, executive director of the California Growers Association, an industry group, said corporate-scale companies with a lock on the supply chain have the potential to tilt the market in their favor. To Eckenweiler, size is strength. While manufacturers buying pot on the open market will have to contend with inevitable price swings, growing in-house will buffer the company from those ups and downs, he said. The same is true for transportation — doing it yourself saves money. And having a stake in a dispensary, to be run through a contractual relationship, would provide access to shelf space. On a tour of the partially completed site, he points to rooms that will one day house multi-tier platforms of pot plants, and pulls open a freezer where stacks of packaged pot buds are ready for production. “I’m not saying you couldn’t have a good business model as a cultivator, as a manufacturer, as a transport distributor or a dispensary. But we’re going to have the benefit of being all of those,” Eckenweiler said. A freeway ride and a world away in Los Angeles’ San Fernando Valley, in a small, gated warehouse amid scrapyards and garages, Hultstrom tends his crop. Organic plants at different stages are arranged in regimental rows in several rooms, fed by water circulated through plastic piping. Powerful lights warm the seedlings, and a ventilation system keeps the pungent aroma from wafting into nearby lots. At Lifestyle Delivery Systems, Eckenweiler said his machine can produce 50,000 edible strips an hour. Hultstrom’s nursery, Legacy Strains, moves at a slower pace. An employee sits at a desk, patiently snipping leaves from plant buds, one at a time, while an adopted stray dog collapses into a weathered couch. Lifestyle has plans for a 202,000-square-foot (18,770-square-meter) cultivation facility. 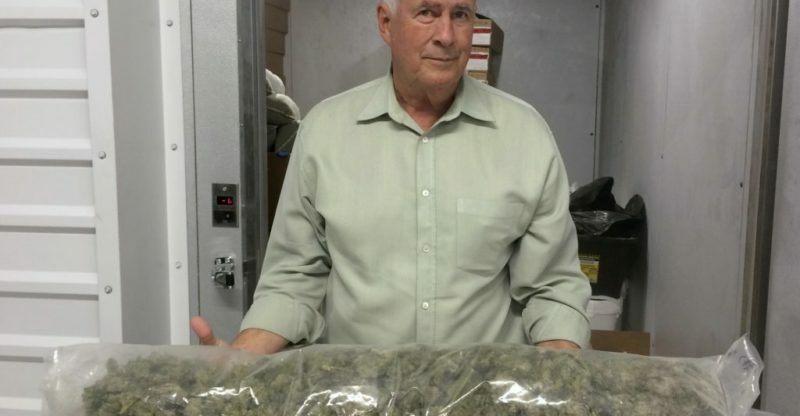 Hultstrom watches over a fraction of that — 2,100 square feet (195 square meters) of pot plants. He’s confident in his ability to produce top-shelf cannabis, and he knows his market: He’s been in the business in various jobs since 2005. But Hultstrom wonders if licensing and compliance costs that experts say will run $100,000 or more, as well as taxes, distribution and other markups, will slant the market toward big producers with more financial muscle. Increasing costs could present a barrier to entering the legal market, Hultstrom said, or force smaller growers to take on new investors. At risk, as well, is the communal spirit of a business that has seen years of shifting laws and enforcement, he said. As legal sales approach, many questions remain. It’s unclear if the black market will persist or fade away. Few major banks want to do business with pot shops or growers, since cannabis remains illegal in the federal government’s eyes. As a small grower, Hultstrom knows he can’t compete toe-to-toe against large operators, an acknowledgement that recalls how big-box stores emptied local shopping strips. The strategy is to find an angle they can’t cover.